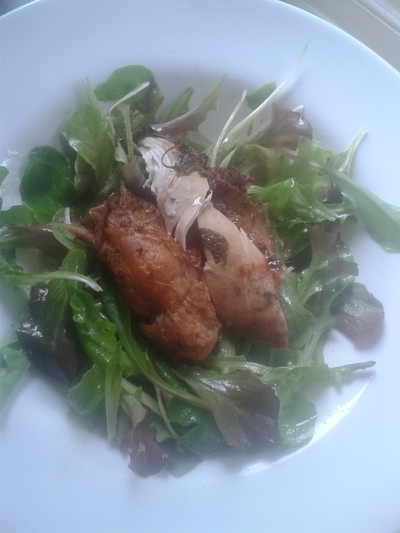 There's nothing tastier than roast chicken with a fresh vinegar-y salad it my eyes. 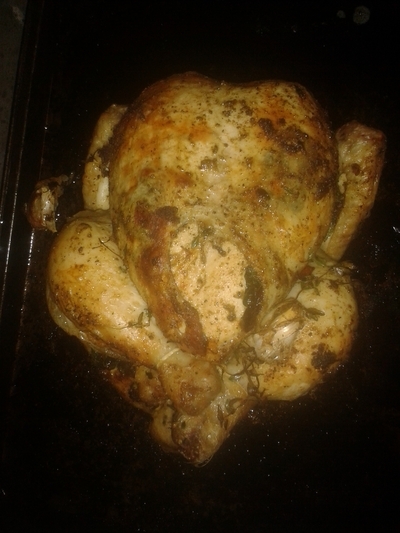 It screams summer and is easy to whip up once you've cooked the chicken. 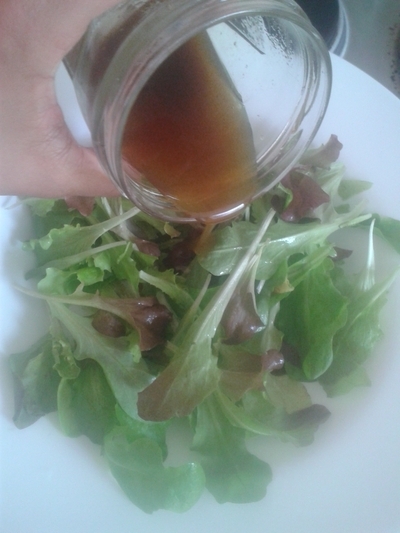 It's a great way of getting kids to eat salad too - my balsamic drizzle makes salad leaves yummy. 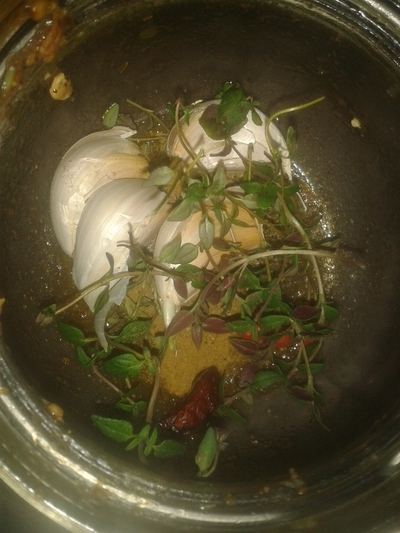 Add all of the pepper, garlic, herbs and spices to a bowl and bash, mixing the herbs and spices together. 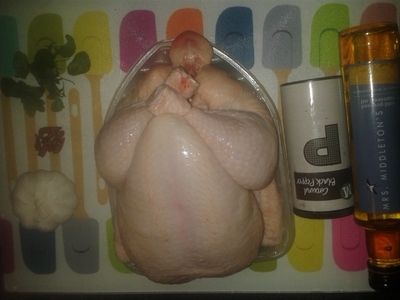 Place the chicken on a baking tray and rub with the seasoning mix and pour over the oil. Place in the oven for 2 hours at 170 degrees. 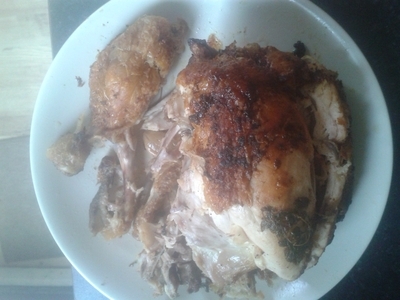 Remove the chicken from the oven after an hour and a half, baste with all of the juices and place back in the oven, at 180 degrees for the final thirty minutes. 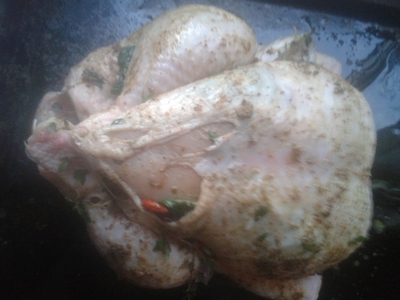 Finally remove the chicken from the oven and carve. 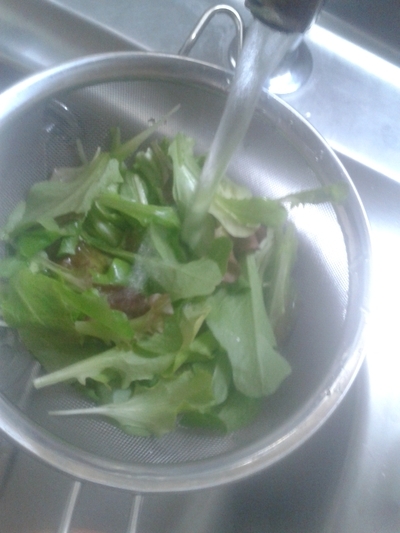 Leave to cool whilst you prep the salad (served straight away and it will wilt the salad leaves). 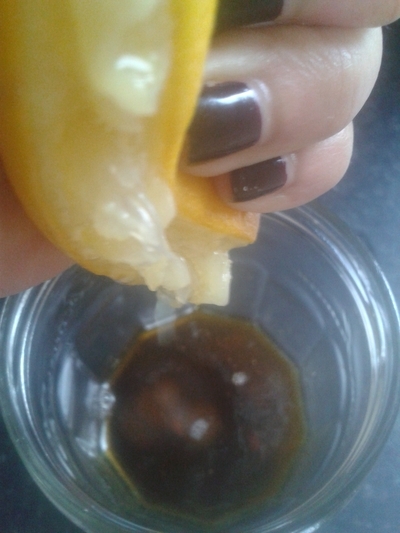 Pour the oil from the baking tray into a jar, add the balsamic vinegar and three squeezes of half a lemon. Pour the dressing over the leaves and toss. 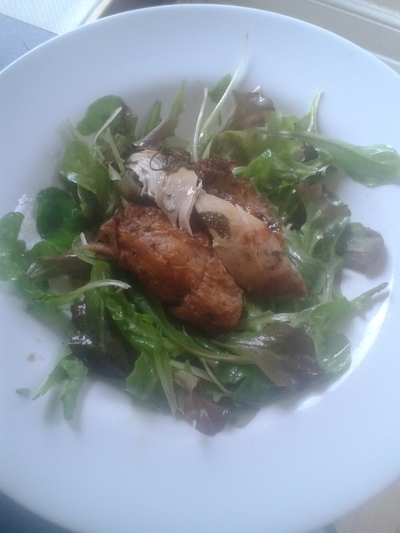 Top the salad with the chicken and serve. Trust me, little ones love this because the dressing is slightly sweet thanks to the balsamic vinegar, plus the juicy chicken is a great distraction from the salad, not to mention adding a great source of protein for growing kids.